Children explore their roles as members of our local community. They develop relationships with community members and actively participate in the life of the neighborhood. 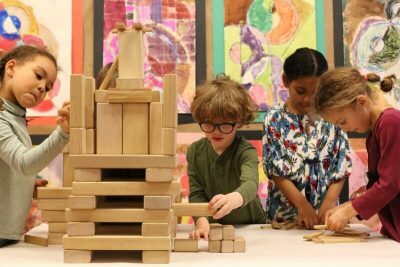 They explore their own racial, cultural, and gender identities and learn how to talk about them openly and comfortably, and in an age-appropriate way. Science, Language & Arts International School is an anti-bias school. Teachers actively participate in anti-bias training and help facilitate children’s development as open-minded and -hearted individuals who recognize their place in a much greater world community. Children learn conflict resolution, empathy, and effective communication skills through coaching in Nonviolent Communication, a powerful tool they’ll carry into adulthood and for the rest of their lives.